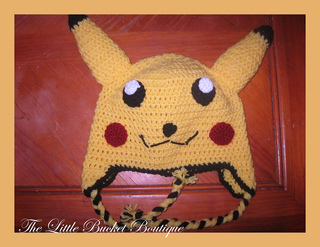 I created this hat for my beloved brother a couple years ago. 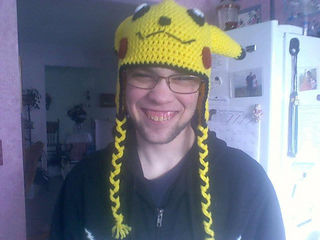 He has worn it almost everyday in the winter since then. 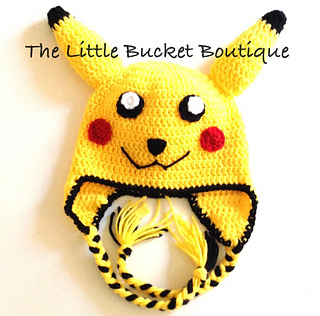 But now that he is gone, I want to honor his love for Pokemon and Pikachu and offer this pattern to you for FREE. I hope you love it as much as I do. 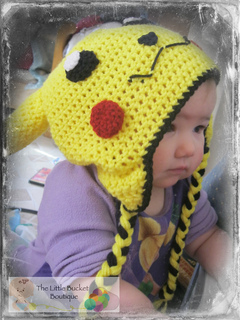 Because this hat is done in double crochet, it works up quickly and has great stretch!